Capcom revealed some exciting news regarding their upcoming Mega Man 11 game today including a release date, a new trailer, and several gameplay details. 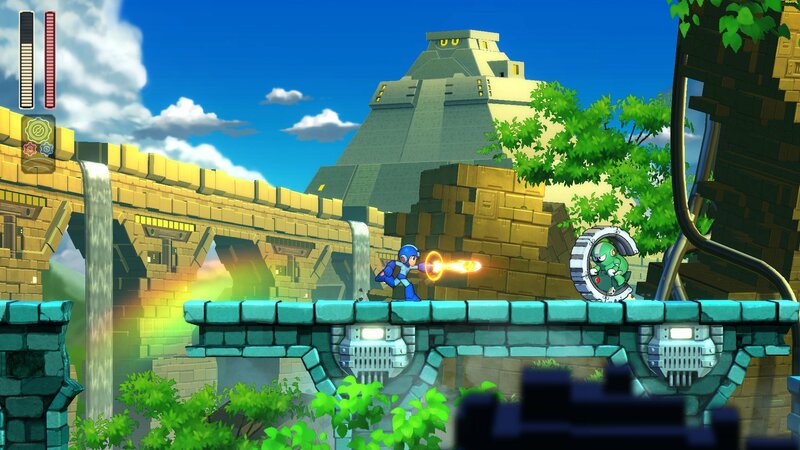 The Double Gear System will allow Mega Man to have brand new abilities. The Speed Gear, for instance, will allow the Blue Bomber to speed up while the world around him slows down. The Speed Gear comes in handy when a player needs to dodge, make a dangerous jump, or just needs a moment to figure his/her way out of a tricky situation. The Power Gear can be used to give Mega Man’s buster shots some extra oomph and get off 2 charge shots at a time. Special weapons acquired from defeating Robot Masters can also be powered up when this gear is used. The one downside to remember is that, with extra power, comes the ability to overheat. If that happens, it will take some time for the Power Gear System to cool down. 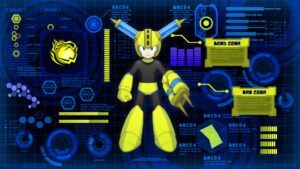 Capcom explains that both the Speed and Power Gears can be used at the same time when Mega Man is in an extra tough situation. However, afterwards the hero will be greatly weakened, so they must be used together, sparingly. 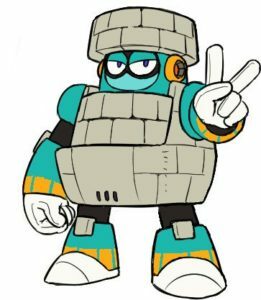 Eight new formidable, Robot Masters will be included in the upcoming game, 2 of which were revealed today. When Block Man uses a Power Gear, he can become an even bigger challenge. 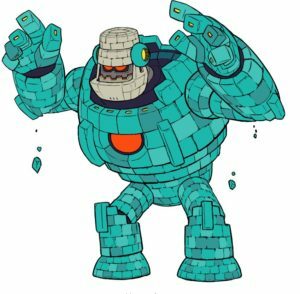 In order to defeat this new enemy, Mega Man will have to work around traps, avoid lasers, and watch out for electrified surfaces. 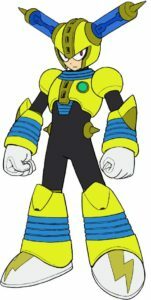 New to the Mega Man game will be the ability for the main protagonist to take on different looks, depending on which Robot Master weapon he’s equipped with. Now, thanks to a weapon wheel, players will be able to change weapons much more quickly/easily. Weapons will be upgradable, using bolts found throughout the game. You can read more about all the new features on Capcom’s blog site. Mega Man 11 will be releasing on October 2nd for the Switch, PC, XB1, and PS4. See the latest gameplay trailer on Nintendo’s YouTube channel. If you’re looking to pre-order, you can do so through GameStop and Amazon. GameStop has a special Switch version that will be sold exclusively through their stores. 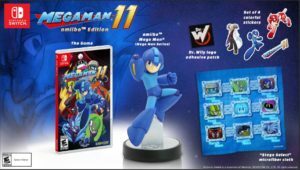 It retails for $59.99 and will include the game, a Mega Man amiibo, Dr. Wily Logo Adhesive patch, 4 stickers, and a “stage select” microfiber cloth. You can pre-order it, here. A standard edition of the game for PS4, XB1, and Switch is available for pre-purchase at Amazon, for $39.99. A Mega Man X Legacy Collection 1 & 2 will be releasing for PC & console, July 24th. Mega Man Legacy Collection 1+2 released on the Nintendo Switch last week.